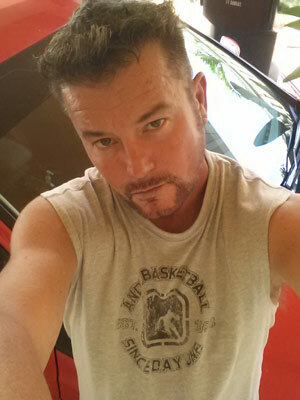 Hello, my friends call me “Wes” and I would like to welcome you to Wilton Manors and the Calypso Inn. You have my promise we will do everything possible to help you enjoy your holiday/vacation or business trip. My business goal is to keep a satisfied customer that desires value, convenience, cleanliness and great service. We are a small Inn that intends to have rooms comparable to the best of others but rates that most can afford. There are discounts to the longest staying guest, and unfortunately why it is important to remember to reserve early or miss out later. I have been in the Hotel/Motel service industry for thirty years. We will always offer you the best accommodations at the lowest price. My experience proves that a satisfied guest will not only come back but tell twenty more of their experience. I have managed small Motels in the Key West area and have about 8 years experience in lodging Management. My goal is to keep at least a 92% to 98% annual occupancy rate. To do this our rates may fluctuate to stay full. Having been raised in Kentucky and lived in both West Hollywood, California and Key West, Fl. I proudly boast that I was raised with southern country boy manners. You will most likely be calling me directly when inquiring about rates and availability so the buck stops here. I promise to do all possible to see that you stay with us again and again. A, W B Leigh Inc. property.